SL12B – so many interviews, so little time! The past week I have attended all the interviews with the Lindens in the Dreamitarium, and enjoyed them all. Of course, there was not just the talks with the Lindens – although they were for most perhaps the main attraction, but there was more! 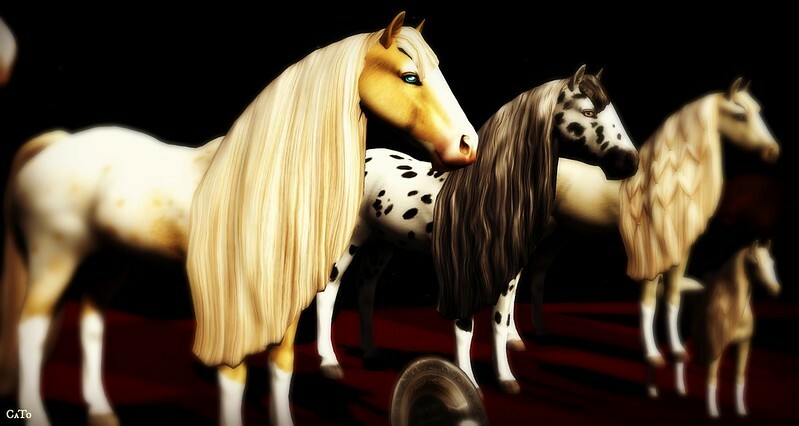 I’ve attended the presentation of show horses by Honey Heart, something I have never really gotten into and it was lovely to hear the passion and enthusiasm about this hobby in Second Life, and the horses looked great too! The comedy-sketches by Catboy Qunhua and Thinkerer Melville were a delight to see and listen too, no doubt it is very hard to perform such sketches when one gets not audible feedback from the audience, but I am sure everyone enjoyed it very much! Also wonderful was the interview with Froukje Hoorenbeek (Dutchie), who told all about her work and her designs, at some point it was even a tad emotional when she brought up the late Sylva Petrov, who recently passed away in RL and from who Froukje uses a lot of animations in her furniture. All in all, all kinds of great shows and talks and in between I did a pod-tour, which I can recommend as it is a great way to explore the regions! Oh, and I made a short clip! Next Post Ironwood Hills, what happened behind those rusty gates?